“We’re kind of farm sitting,” says Kyle White, co-founder of Milkhouse, a new fromagerie in Smiths Falls. Kyle, with wife and co-founder Caitlin Hynes Dobson are living and making cheese at Caitlin’s parent’s century farmstead in beautiful Lanark County. The 130-acre farm includes a beautifully restored farmhouse and barns, but what makes the farmstead so idyllic is the weathered wooden split rail fencing around the property and sectioned pastures. 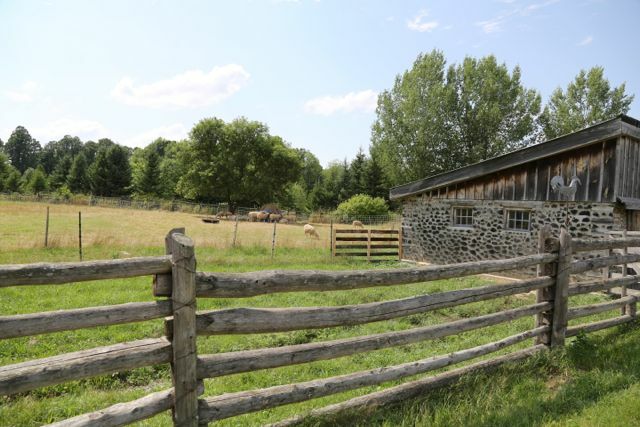 Caitlin’s family runs Dobson Split Rail Fencing and the farmstead has become a showpiece. Between the fencing and restored stone and plank barns, Milkhouse is a beautifully romantic and pure vision of farm and country life. There is a season to artisan cheese making. At Milkhouse, the ewes are milked twice a day from spring to the fall. Throughout the season the quality, colour and richness of milk and ultimately the flavour depends very much on the weather conditions. 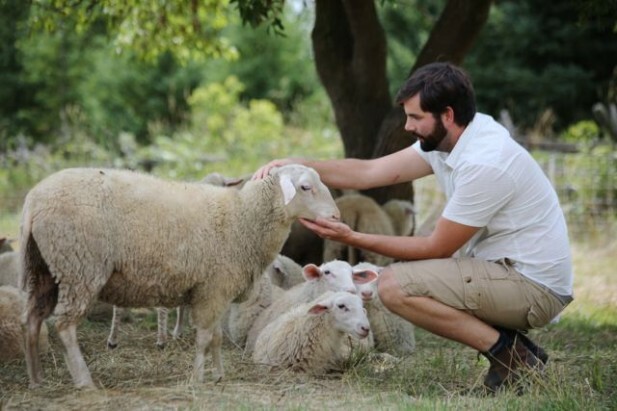 2012 was a very hot and dry year meaning Kyle has had to be very strategic in managing the pastureland to ensure a constant supply of fresh grazing opportunities for the sheep, with only a small supplement of grain. When I met them, they had 15 milking ewes but the plan was to grow it to 60 within the next few years. This spring their lambs gave birth to 40 rams and 26 ewes brining the total of milking ewes to just over 40. Inside the largest barn is a well-designed milking station. Gone is the three-legged milking stool and instead, they’ve built an elevated milking station complete with feeding station to keep the sheep calm and occupied during milking. The unpasturized sheep milk is then taken a few feet to the new fromagerie and the cheese making begins. Both with science degrees, Kyle and Caitlin are surprised to find themselves applying their education to cheese making. They’ve become very passionate about the quality and techniques of their craft and are honing some recipes that will truly reflect their own personal style and terroir of their farmstead. Currently, they are crafting an Italian-style Tomme that is rich and firm with a natural rind that picks up nuances of the surrounding meadow. The flavour is earthy with layers of a buttermilk tang, white mushrooms and a hint of grassiness weaving through some slight nutty tannins. It finishes long with a sweet, dry, creamy texture on the palette. Their first Milkhouse Tomme is sure to mature beautifully into one of Ontario’s most complex and satisfying cheeses. Enjoy it young as an addition to cheese boards where red wines or full bodies whites will be served. It will be exciting to see how it develops with age and what esteemed position it will be given in the culinary world. A pure white feta is the second Milkhouse cheese. Young, it has a salty bite, a firm texture and a tang reminiscent of a fine Greek feta. 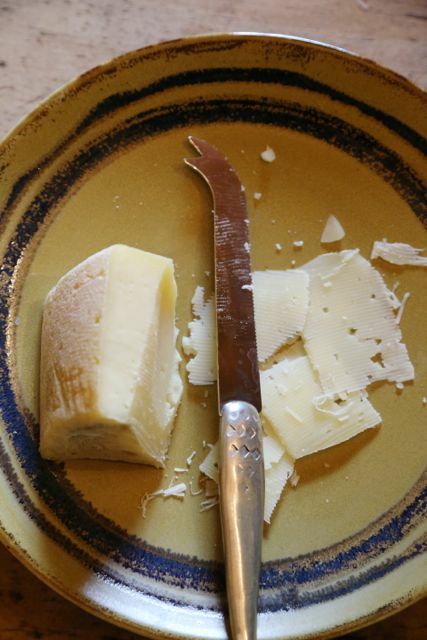 It was far too young at the time of tasting to say anything other than it is showing promise as a new addition to Ontario’s finest artisan cheeses. Soon to come is a Spanish-style Manchego cheese. This semi-firm cheese is made famous in Spain from the unpasturized milk of Manchega sheep raised in the famous La Mancha region. It will be interesting to see how the flavours and style of Milkhouse Manchego will evolve from the rocky and rolling terrain at the farmhouse site in Lanark County. Perhaps they will call it Lanark Manchega after the sheep and location. Once the Tome and Manchego are crafted, they will age in the new cheese cave built on the farmstead. 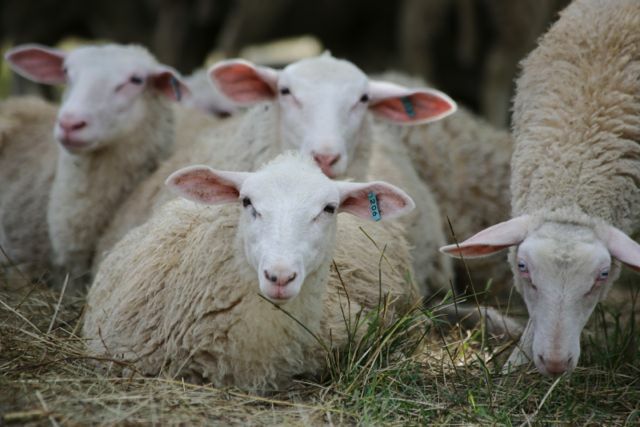 Milkhouse is far too new a sheep-milk fromagerie to predict the heights of flavour greatness it can achieve. For now, Kyle and Caitlin are perfecting their traditional cheese recipes to suite the terroir of the land. You can buy Milkhouse Cheese at the Westboro Farmers’ Market on Saturdays or the Kemptville Kinsmens Farmers’ Market every Sunday. Otherwise, you can call Milkhouse and place an order. Either way, you don’t want to miss out on getting your hands on Ontario’s newest artisan sheep milk cheeses. Click for the Lanark County Pinterest Board.